Flying in to Austin was riddled with the standard frustrations that come with air travel in 2017. Not only was my luggage lost, but my ride cancelled on me without any advance warning. So, what is a weirdo in a weird land to do? This is going to be the first instance of many where I talk about how friendly and cool the people of Fantastic Fest are. There were FF folks at the airport that not only managed to hook me up with a ride to the festival, but gave me the opportunity to meet a director of a really cool film that I got the pleasure of seeing (more on this shortly). 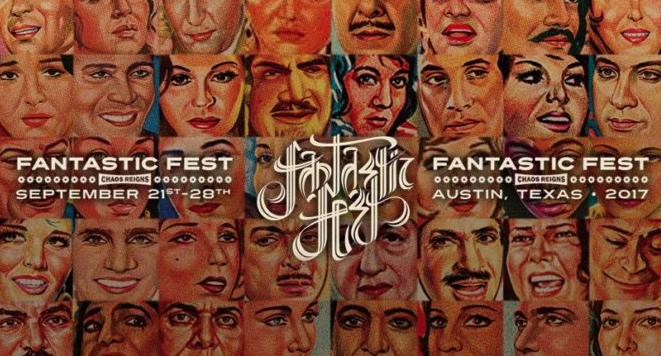 Fantastic Fest calls itself “the largest genre film festival in the U.S., specializing in horror, fantasy, sci-fi, action and just plain fantastic movies from all around the world.” It is all conveniently located in one Alamo Drafthouse location in Austin, dominating all 9 screens at the venue. For those who have not had the pleasure of visiting an Alamo Drafthouse, this is a theater chain with a hip and eclectic vibe that includes full service bar and food that is brought to your seat while watching the movie. This makes getting around to different screenings a breeze, and there is a fun atmosphere that actually spills out of the entrance and into the plaza area right in front of the theater. We’ll touch more about the festival and those attending in future posts, but let’s talk about what brought me down to the Lone Star state… the MOVIES! 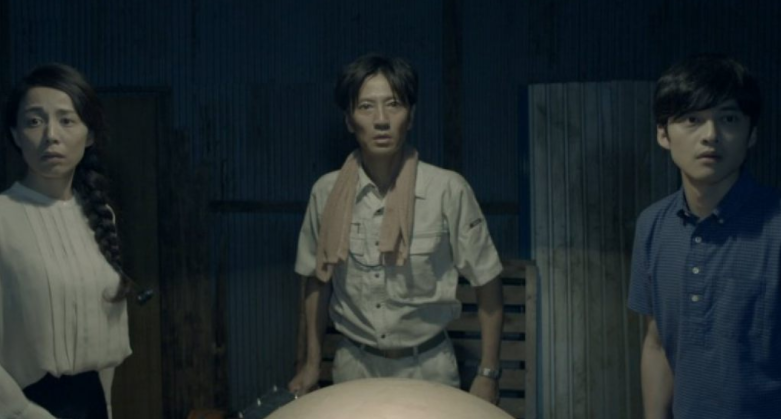 First on the slate to discuss is director Yoshio Kato’s sophomore effort 3Ft Ball and Souls. While many in the USA may not be aware, Japan has a growing problem with suicide. 3Ft Ball and Souls is a movie about a group suicide pact, with a Groundhog Day twist and a War Games lesson. The movie centers around four characters and one primary location. While it has stage play adaptation vibe about it, it’s strong character focus and good pacing allows it to stand apart from most independent movies and become quite memorable. The Souls in the title are the 4 main characters of the movie, who coordinate their suicide pact anonymously online. The 3Ft Ball in question is an extremely large firework, and is the delivery vehicle for the group’s final demise. Death by firework is an odd choice for the fateful four to end their life with such a fantastic and beautiful demise. They all meet for the first time on the last day of their lives and when they start to question why the others would make such a rash decision, everything comes into question. The biggest criticism I have is that there are times when the movie gets syrupy sweet, but this should not deter anyone from seeking out 3Ft Ball and Souls. The great visuals and funny moments throughout more than compensate for reasons that would deter me from recommending this movie. During the Q&A with the director following the movie, he mentioned it was his hope that someone contemplating suicide would watch the movie and reconsider. I will never know if the director will get his wish, however I can say that this movie was compelling and endearing enough to where I believe that it is possible. In conclusion: 3Ft Ball and Souls comes with a solid recommendation to give it a try, you will be glad that you did! This entry was posted on Thursday, September 28th, 2017 at 10:14 am	and is filed under Events, Film, News. You can follow any responses to this entry through the RSS 2.0 feed. You can skip to the end and leave a response. Pinging is currently not allowed. « Film Review: ‘The Killing of a Sacred Deer’!